You can add a WPF control to a window by using the design view editor in Visual Studio. You add the control by dragging and dropping it onto a design surface. You can also add a control by editing the XAML directly while in the design view editor in Visual Studio. 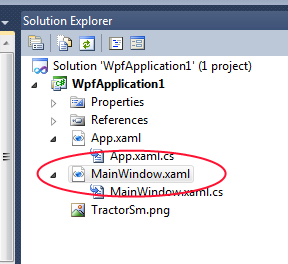 To open the design view editor for a particular window, double-click the associated .xaml file in the Solution Explorer. The editor will show up as a split screen, with the design surface on the top and the XAML that defines the window contents below. 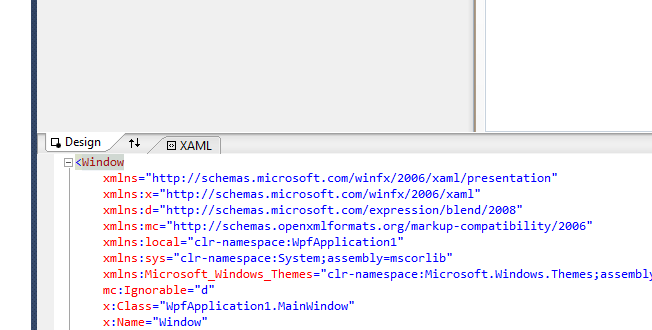 You can add a control by manually entering XAML in the lower window. Here’s the XAML for a simple button. As you enter XAML in the lower half of the editor, the design surface in the top half of the window will update to reflect the changes to the XAML.